Juliann DePalma Hesed, principal of St. Margaret of Scotland Parish School, organized years of photographs and paraphernalia to be placed inside a time capsule celebrating 100 years of the school. “Remember to come back in 100 years!” school parent Emily Schiltz encouraged the students filing past her. As the line of nearly 500 students at St. Margaret of Scotland filed through the lower level of St. Joseph Hall, each tossed a piece of gravel into the ground in a small corner near the library, slowly encasing the time capsule placed there. Students buried a time capsule on June 1 to celebrate the closing of the school’s centennial year. The capsule now sits beneath the floor of St. Joseph Hall, the school’s original building, and is expected to be opened a century from now. It is the fruit of more than a yearlong process which began in spring of last year to prepare for the school’s 2018 centennial. The idea for the time capsule came from pastor Father Matthew O’Toole, himself a historian. A photograph of Charlotte Norton and Virginia Wolf from 1949 is one of the many photographs and paraphernalia placed inside a time capsule celebrating 100 years of the school. The capsule’s contents were drawn from many sources, including parish archives, school families and students. All students participated in an essay contest describing contemporary life at St. Margaret of Scotland. One winning essay from every grade level was selected for inclusion in the capsule. A lottery determined winners for alumni, school family and parish family contributors. Schiltz was the school family winner. Schiltz and her family wrote essays about “A Day in the Life” at St. Margaret, each from their own perspective as parent or student, and also included photos from school events throughout the year, beginning with August’s solar eclipse. Her brother contributed an iPhone 5 which holds pictures from throughout the school. “We’ll see if it’ll turn on in 100 years,” Schiltz laughed. A charging cord sits in the capsule as well. Dr. Daniel Herleth was the alumni lottery winner and contributed items from his time in school, including one of his class pictures, a science fair ribbon and several pieces of old Boy Scout paraphernalia. The winners in the parishioner category, husband and wife Mike Diehl and Alice Benga, collected letters from several individuals, prompting them to write to the students of 100 years from now. Archbishop Carlson added a zucchetto at a school Mass in April. Paper contents were wrapped in acid-free tissue paper to preserve ink. These inclusions consisted largely of school photos, First Communion pictures, a book on parish history and recent issues of the St. Louis Review and St. Louis Post-Dispatch. “As you can tell, we’re professional archivists,” Schiltz quipped as she and principal Juliann DePalma Hesed frantically wrapped the artifacts-to-be in Hesed’s office. The time capsule was simply one of many ways the school has celebrated its anniversary. Other occasions have included an alumni Mass, a play set at the parish in 1917 and a centennial gala dinner at the Palladium St. Louis. Nor was the time capsule the last of the celebrations: After a 12:15 p.m. dismissal, students ran outside their centenarian institution to their school picnic, featuring food and live music. St. Margaret of Scotland school first welcomed students in September 1917 under the direction of pastor Father John J. O’Brien and the Sisters of St. Joseph of Carondelet, who ran the school for 90 years. The original building is now called St. Joseph’s Hall in their honor and is the location of the centennial time capsule. Faith Hall was added in 1966, and Purcell Hall in 2015. The school enrolled nearly 500 students this past year. 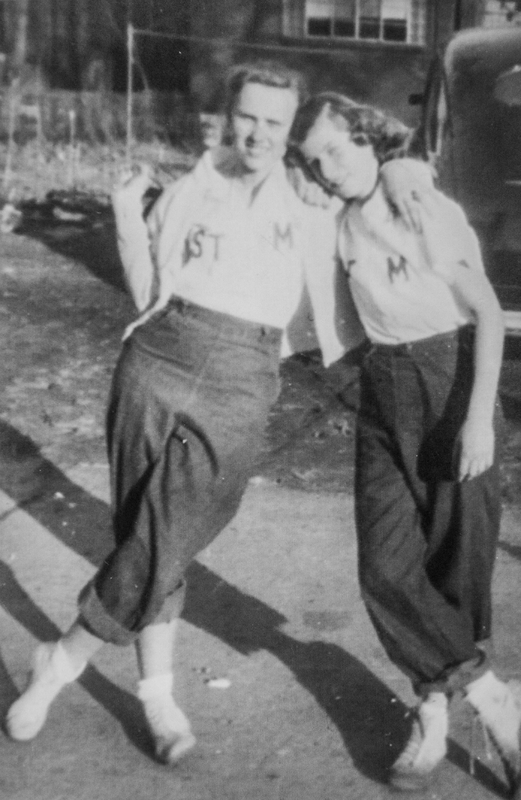 The parish was also briefly home to an all-girls high school in the 1940s.